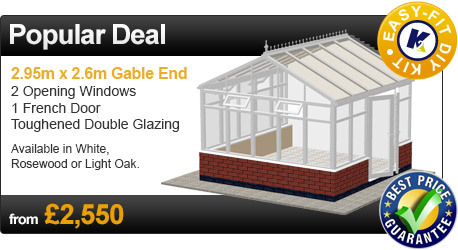 Our Gable Ended conservatories offer a combination of style and simplicity. 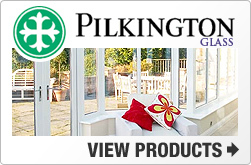 With an evergreen design that can be suitable for any style of house, these conservatories are ideal household companions. For the purpose of providing some extra internal ceiling space, the Gable Ended conservatory has a pitched roof gable style. Apart from the additional space, this also offers versatility while installing blinds, lights and ceiling fans. Talk about multi-purpose! 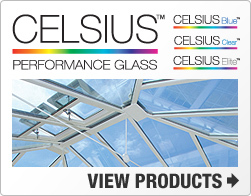 Gable Ended Conservatories have been recognised and appreciated everywhere for their strong and reliable nature. For homeowners looking to have a unique living space that guarantees peace of mind, a Gable Ended Conservatory is a worthy investment. 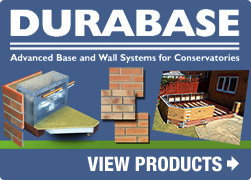 DIY Conservatories has many options on hand for those seeking to buy a Gable Ended conservatory. From colour, size and adjusted design, DIY Conservatories lets you pick exactly how you want your Gable Ended Conservatory to be. So, how about finding for yourself how much you stand to save and enjoy by picking DIY Conservatories to create a special home space for you? Get a quote from them today and make an investment that lasts a lifetime!